Millions of tourists visit Jamaica every year, but how many of them get to experience the island the natural rasta way? Rappa, Co-owner & Tour Guide of Rappa Rasta Tours, takes tourists to authentic restaurants and local places to buy souvenirs directly from artists. Rappa Rasta Tours aims to give tourists a marvelous vacation, while also, providing a way for every Jamaican to be a part of the team. By supporting local businesses, their making their vision to see a Jamaica without poverty a reality. 1. 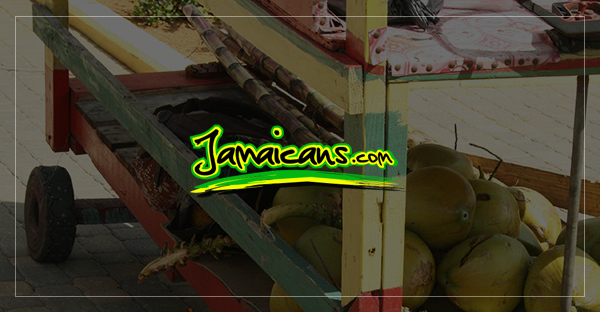 What’s something that would surprise most people about Jamaica — any off-beaten path things to explore? Nature is the main thing people come for. The questions I get are related to choices. People like to know which waterfall is the best and which beach is the most beautiful. On the other hand, they really like to explore the unknown, the hidden gems, and getting some authentic Rastafari culture information. Besides the huge Dunn’s River Waterfall, Rappa Rasta Tours is able to give our guests a unique experience by showing also ‘local’ or ‘real’ places. Far South and Portland have many hidden gems. But also around Negril, there is much more to discover along the coast and into the hills. Mayfield Falls, for instance, brings fun and a lot of hidden beauty spots to discover while walking through the river via small cascades. Have you heard of Benta Falls, Fishdunn Falls, or Nanni Falls? Every little village has its own unfound treasures. Therefore, we go on an adventure and discover, not only the well-known attractions, but a little up so or down so at the same river. 2. From roadside stalls to holes in the wall to fine dining experiences, what are the best places to try that celebrate Jamaica food culture? Tourists are excited to taste real Jamaican food. Of course, it is romantic to have dinner on the beach by candlelight, but people love to have a taste of authentic Jamaican food at local restaurants. The best places to eat are the ones we find accidentally, mostly at the roadside. The smaller the better. You will find them everywhere; on the road to Roaring River or in White House. Up in the hills in Manatee, there is the ‘Cotton Tree Drive Through’. This little outdoor place is amazingly good! And there are many many more Jamaican food stalls and restaurants. Tasty, healthy ‘Ital’ food restaurants in Negril are InI in West End and Rasta Ade by the beach. Boston Bay is the place to be for Jerk, but I am telling you, the best jerk chicken is coming from Negril. At night behind the roundabout in the direction of Savanna-la-Mar, Chef ‘Jerky’ (Marlon) has a delicious gravy. You have to try it! There are several other suggestions travelers would love including Lobster at Monkey Island, which is located in Negril, but you have to take a glass bottom boat to get there. Sweet and Spice is also in Negril, opposite to a gas station. Be sure to bring a sweater, as they love AC. Jack Sprat is in Treasure Beach and is famous for its conch soup. In Alligator Pond, south coast, there is the Little Ochi Fish Restaurant and lots of yummy, small, local places at the ocean side where they sell fried fish with festival. And in Port Royal, Kingston there is Gloria’s Restaurant. The best vibes you’ll get is when we cook at the riverside. Far south near the spring, we show our guests hidden gems, a natural fruit farm, and sometimes we’ll cook on a wood fire while listening to singing birds or we sing a song ourselves. Here you’ll get to experience the real Jamaica: nature, culture, farming, schoolchildren, and Rastafari knowledge. 3. What are the most Instagrammable spots in Jamaica? Beauty is in little things and you can see it everywhere when using your eyes and walking slow. Nevertheless, you have to go on an adventure for the best nature spots and awesome pictures or portraits. Always be ready to take stunning pictures in the famous Blue Mountains– Holywell, with the natural mystic wind blowing through the air; otherwise, the rocks at Cane River, the stunning Nanni Falls, or south coast area with the fishermen, and their colorful boats. Jamaica has magnificent hidden blue holes and needless to say, Jamaica’s blue-turquoise bays: Boston Bay, Can Can Beach, Blue Fields at Belmont, Bob Marley Beach, our own Seven Mile Beach in Negril, and the list is endless! 4. What’s a recommended “treat yourself” (spa, massage, etc.) experience you should do in Jamaica? I’ll be short on this one and give you my top 3: the Milk River Hotel & Spa in Manchester, Jackies on the Reef in Negril, and the Bath Fountain Hotel & Spa in St. Thomas. 5. One guilty pleasure you enjoy on the island that you suggest to visitors? The natural, local, hot water spring with mud massages outdoors at the Bath Fountain Hotel & Spa in St. Thomas. A runaway slave discovered Bath, where he washed his wounded limp. He noticed the next day that his leg was rapidly healing. Lime, sulfur, and magnesium are the active elements in the hot spring. Heading for the natural spring at its source, follow the path across the bridge. Unfortunately, Bath has a reputation of hustlers lurking along the street trying to make a dollar on visitors. Therefore, it can be hard, but it is, of course, your own choice to visit the river by yourself or walk with a guide who leads you to the masseur. Make sure you set a price. Beyond this point, it is just wonderful to fully enjoy the relaxing massage and hot water treatment. 6. How do you make a difference by being a Jamaican (Rasta) Tour Guide? Since I was a youth, I was taking care of people. Once I got to know Negril and a friend invited me to join his tours, I knew one day I would be a tour guide myself. I am partly raised by my grandparents and they taught me a lot about nature, herbs, and history. I love doing this job and the love is the first thing that attracted me. Rasta is humble, Rasta is sharing, and we take things easy and make sure everything is all right. Besides hot spots, Rappa Rasta Tours is a fair trade business, small but pure and honest. We support people on the road. To team up is the most important thing to do. Our guest will get to know the real Jamaica, off the beaten path. We meet interesting people during our trips; it can be a wise roots man, gifted artists, Kumina drummers, or just a local guy in a bar. Local traveling supports all of ‘we’ and travelers will get to know a very special, unique and authentic piece of Jamaica. You won’t get this experience anywhere else because there is such an Irie vibe when we travel altogether. 7. What can you beat anyone at? 8. What is your mission? There is room for every one of us, therefore building a team makes stronger vibes. It is more fun and easier to reach goals. On my way, I connect our guests with farmers, arts and crafts men, artists, schools, and so on. People learn from and support Jamaica. Thinking of exchange of music, support with video clipping, buying roots (herbal drinks with medicinal effects), pure coconut oil, honey, and amazing handmade stuff, there is much more than the red-gold-green necklaces. For instance, I met artists who made awesome lights and Irie bowls out of calabashes, so we spread the word. You see’t! We like to support Jamaicans, also the street seller and the ones who clean your windscreen. They need it. It makes their day and their life a little better, and so will yours. Rappa Everton Evans is a co-owner and tour guide of Rappa Rasta Tours, along with Sandra Smits, who manages the business’ website, E-mails, and bookings. Follow Rappa Rasta Tours on their website, Facebook, Rappa’s Facebook, Instagram, and YouTube.